Christmas cards can be a hassle sometimes, but I find myself sending them out every year like clockwork. Is there anything better than getting handwritten addressed cards with smiling photos and happy wishes from friends and family? I don’t think so. December is my favorite month of the year to open the mailbox, so I feel obligated to pass on the love I receive. 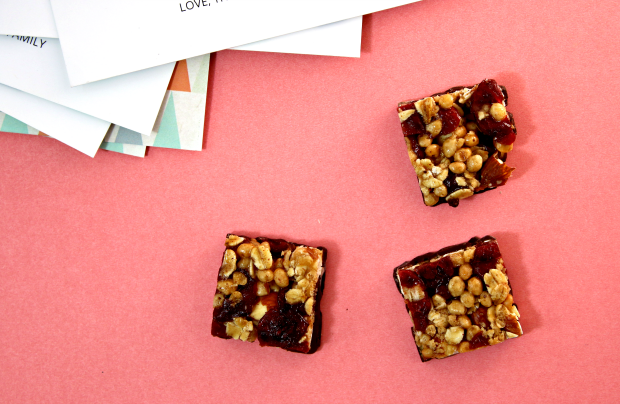 It’s like good karma, with pretty photos attached. I just can’t quit. 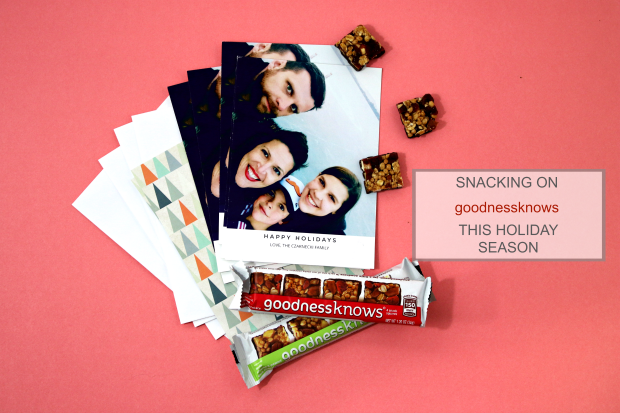 This year like years past, I’m sitting down to address my family’s Christmas cards with a good show on TV and some goodnessknows snack squares on the table in front of me. My favorite part about the snacks is that there are four bite sized snacks (40 calories a piece) dipped in dark chocolate so I can keep track of calories while I work. They’re also gluten-free, and who doesn’t love that? Do you send out Christmas cards / holiday cards? 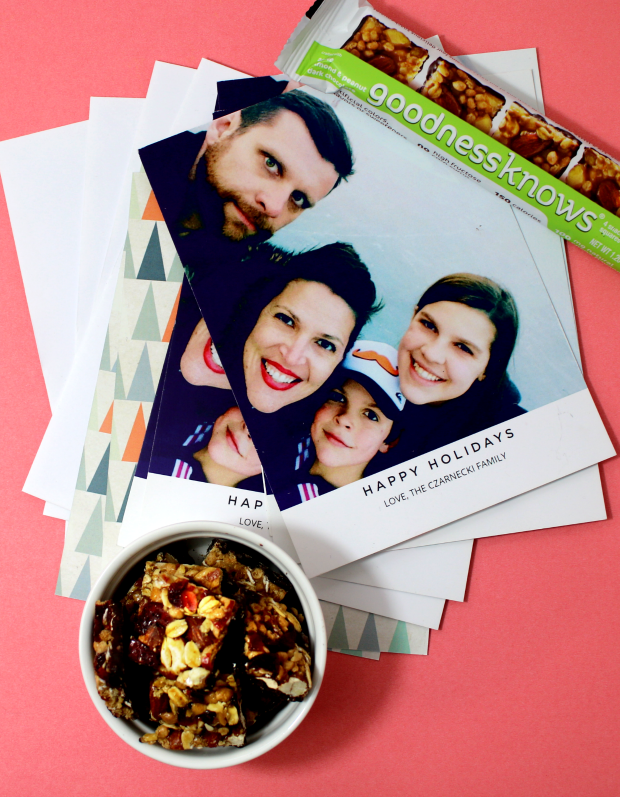 Do you have a tradition around sending cards every year, or do you just sit at the kitchen table and knock them out? I really love my routine of snuggling up on the couch with a cozy blanket in front of a warm fire and a movie, armed with a good pen and my address book, writing notes to the people I love. As far as holiday traditions go, it’s not bad. I never get very fancy with our cards, because that’s missing the whole point. If making cards gets too stressful I know I’ll stop doing it altogether, so I keep it simple. I’ve ordered cards online and made DIY Christmas cards myself, but I love printing photos and mailing them like postcards. I’d love to hear what you do for Christmas cards at your house, and if you eat something tasty while you address them. 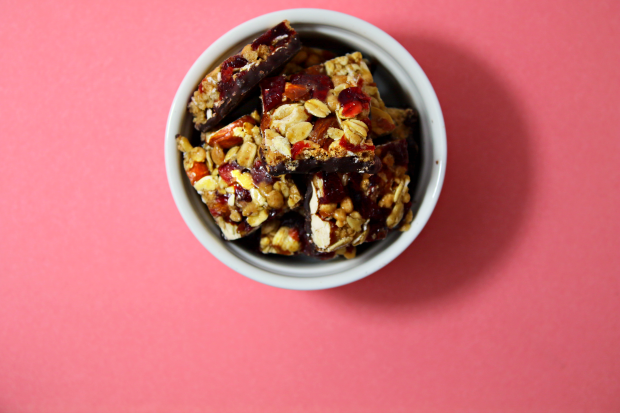 I’m keeping my goodnessknows dark chocolate dipped snack squares, but you can get your own here. Enjoy! 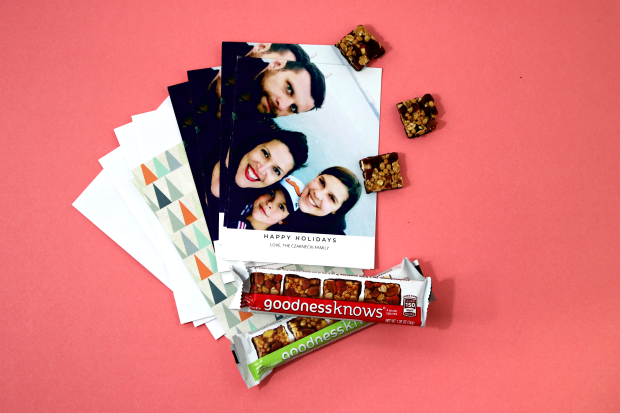 I’ll just be over here snacking and watching TV while I address my Christmas cards. Postcard pictures!! What a good idea. I’ve done that in the past but have never thought of doing it for Christmas cards! Next year. Do you print just a normal picture and send it like that? Or do you do a matte picture?